On Feb. 17, piano enthusiasts and ETSU students alike crowded into auditorium 112 in Brown Hall to hear famous pianist Chu-Fang Huang perform. Her recital consisted of various songs composed by a wide selection of artists including Frederic Chopin, Joseph Haydn, Maurice Ravel and two Chinese composers, Yinghai Li and Jianzhong Wang. The evening began with an introduction from Professor Esther Parks, who sponsored the event. 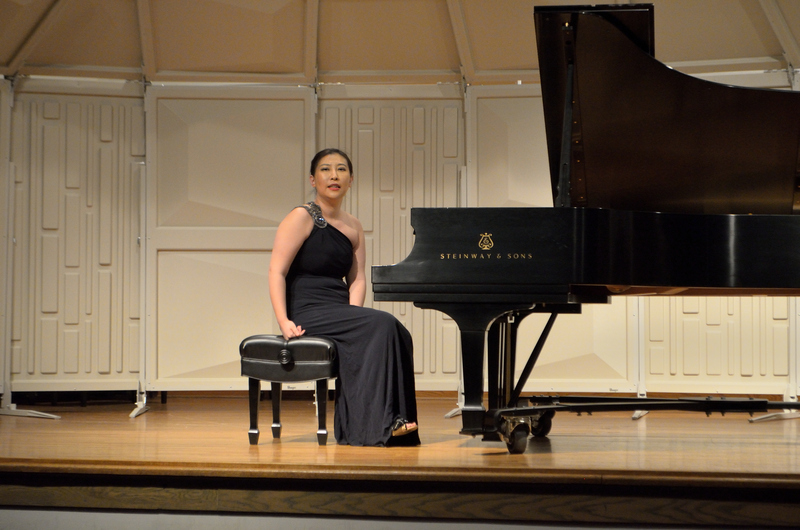 Parks talked about how she and Chu-Fang Huang would cross each other’s paths at various piano recitals across the country, and how they became friends throughout the years of piano playing. During the concert, Huang would give a short description of the songs before she would play each piece. The first piece, “Ballade No. 1 in G Minor” by Chopin, was based off of a poem called “Konrad Wallenrod” by a Polish poet about a Russian general fighting a doomed battle in Lithuania. I thoroughly enjoyed this piece because of this motif during the third movement. The familiar tune within the song made my jaw drop. Huang’s playing was mesmerizing, not only to myself, but to the audience as well. She truly captivated everyone with the sound of her keys. The second half of the piano recital started off more lighthearted with an upbeat song by Joseph Haydn. Then, Huang played two pieces by Chinese composers Yinghai Li and Jainzhong Wang. Li’s piece, “Flute and Drum under the Sunset,” was originally composed for Chinese Instruments and was about a fisherman who sat on his boat in a river as a thunderstorm raged around him. The next piece composed by Wang, named “Liuyang River,” was a famous Chinese folk song that did not have a written composition until recently. This cheerful piano piece talks about how many times the river curves and what the river saw as it turned every corner. Just when things were starting to get too cheerful, Huang informed the crowed that her last song, “La Valse by Maurice Ravel,” would be about a ballroom under attack during WWI. In the song, the aristocrats in the ballroom keep dancing as the war raged on around them, and they do not realize they are in danger until it is too late. This song had me on the edge of my seat, because it was loud and heavily accented, with the piano keys being played loud enough to mimic a cannon. Thanks to Huang’s emotional and expressive playing, I could vividly picture the scene being described what she narrated.